This fortnight's challenge is going to be 'stand up from being seated', taking place between Monday 30th May until Monday 13th June. 1) Personality. Glen Keane has shown one way, but be great to see a range of characters by different animators. Ask yourself who is this person, why is he standing up? Somebody sitting in a doctors surgery receiving a jab is going to be much more reluctant, than somebody going to answer the door to friend. Maybe something scared him/her out of the seat? 2) This is very much part of the first element, but it's a big one. Think about how your scene opens and finishes. How does your character's motivation for both sitting and getting up, affect both the first and final key poses. 3) The shifts in weight. Look for ways to play with asymmetry. A good frame limit once again would be 100f. You can go under or over, but most importantly tell a story with the action. 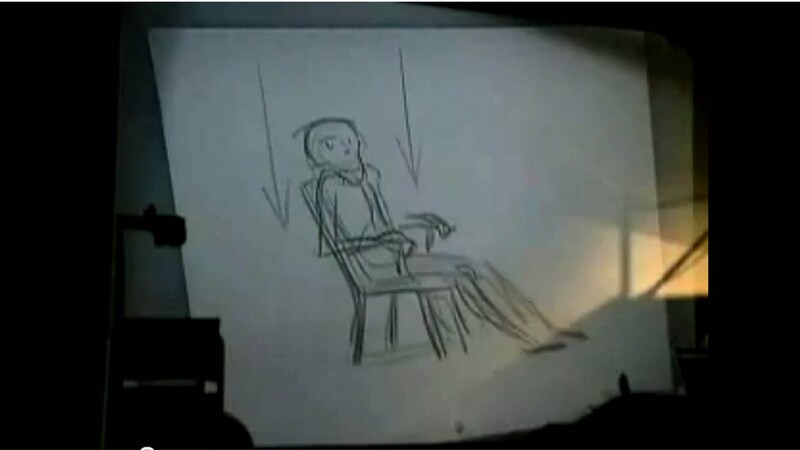 To give you guys a rough idea, here is a great Glen Keane demonstration of an old man getting up. Hope you participate, be creative and have fun!! Recently a community post highlighted the Video Copilot website to my attention, as a member asked how to create explosions. 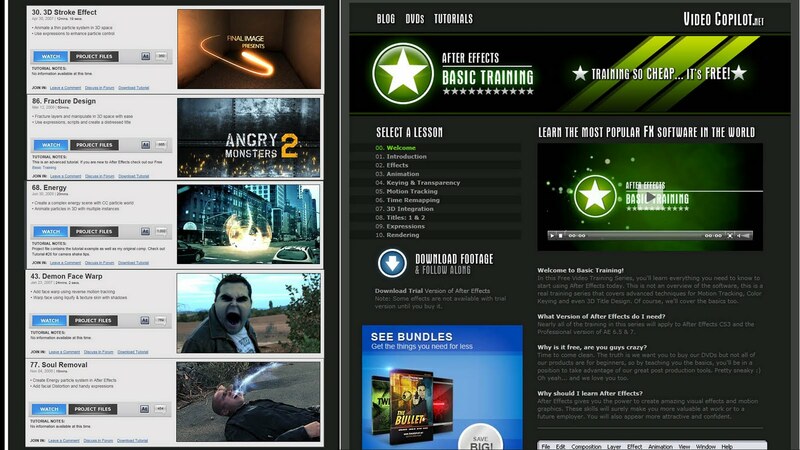 This website has many fine tutorials, from beginner to advanced that could provide a hand in creating anything from a fancy reel title or some loud explosions, to some good compositing tricks. 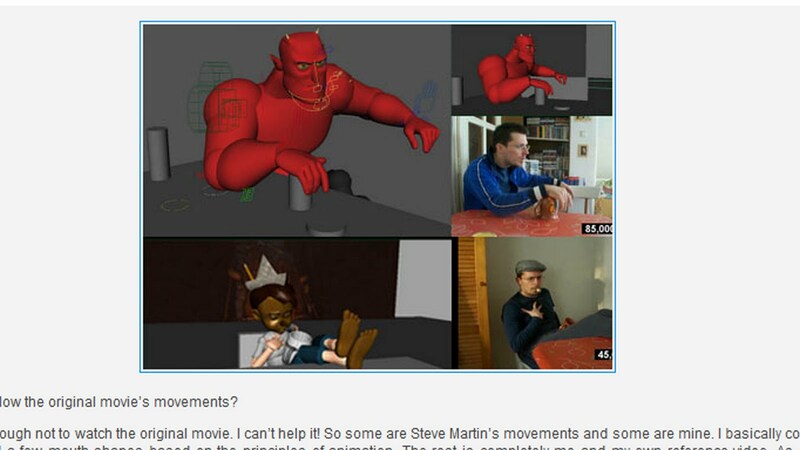 Hopefully some of the special effects tricks, could perhaps help the stopmotion animator. When in college, a very good animation friend used After Effects to add steam to rise out of a cup of tea. Added some beautiful texture to her film. After seeing the question asked many, many times on the main site, I thought it would be best to create a post on how to upload work which the community can review frame by frame. 3. Right click the file and choose "Copy Public Link"
4. 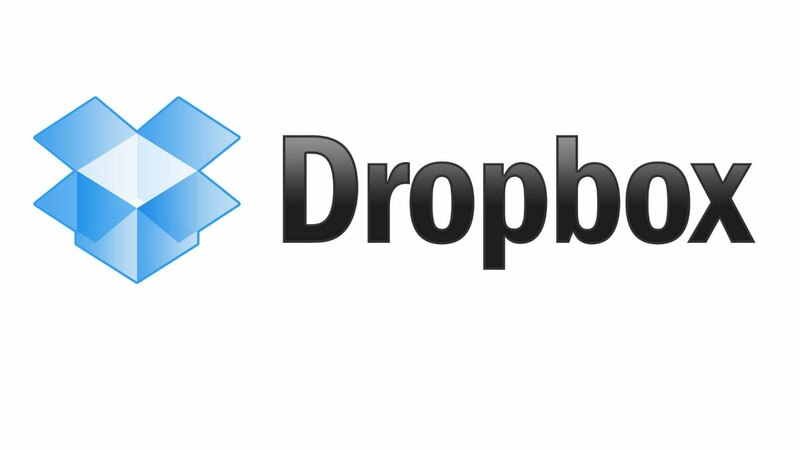 Click on "Copy to clipboard"
Recently, I contacted Eric Scheur regarding bringing back his beloved winner interviews for the main 11 second club site. In his reply, Eric provided lots of support and advice, including encouraging words to take over the reigns. Thank you Eric. 1) If you could be one cartoon character, who would it be and why? Tasmanian Devil. It would be fun to run around as a tornado! 2) This is your first entry to the competition, tell us about your animation journey so far. I studied classical animation for 2 years at Capilano University, in Vancouver. After working as an animator and character designer for a couple years on some Flash animated TV series, I moved to Ireland and worked at Cartoon Saloon. I worked on the animated TV series “Skunk Fu” as an animator and storyboard artist. When the production was finished, I moved to Denmark to enroll in a 3D animation course at the Animation Workshop in Viborg. Once I completed the course, I moved back to Vancouver and worked at Blue Castle Games (now Capcom Game Studio Vancouver) as a cinematic animator for “Dead Rising 2”. When that production ended, I left the studio and have been doing freelance work since. 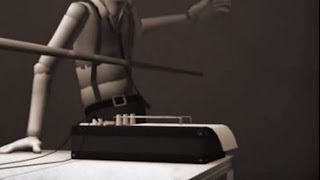 3) Your reel has some great pieces of animation. I particularly love the opening, the alien and spider clip. Its story springs many surprises and grabs the audience due to its unusual context. May I ask where you turn for inspiration? I find inspiration in all kinds of places, and usually when least expected. But for that particular piece, I got the idea when I was watching the DVD "LIFE" and "Planet Earth". I've always found it interesting the way certain features of animals are used for defense, or just ways to catch a meal. So I wanted to animate a simple story of a creature in the forest having a little snack. The rig I found had a helmet like head, so it seemed like a fitting way to "crush" its food, before eating it. 4) With current debates at present concerning lighting and rendering effecting voting, it was great to see a your simple Film Noir style win the competition. I'd love to hear about your design process for the clip. I'm a fan of simple designs with strong impact, so I try to achieve that in most of my work...actually, I'm just lazy and don't know how to do the fancy stuff I see in some of the winning animations. Just like many others who submitted a piece for this competition, the image I had when listening to the clip was clearly a film Noir style. This was a big plus for me since eliminating the design element of color meant one less thing to think about. My knowledge is very limited when it comes to modeling, lighting, and other post-production processes, so by keeping it simple, I was able to achieve the look I had in my head. 5) Focusing on the style choice, the shot of Pinocchio is very dark, with these two contrasting eyes staring out at the detective. It is said that the eyes indicate if somebody is lying. Was that part of the style choice? 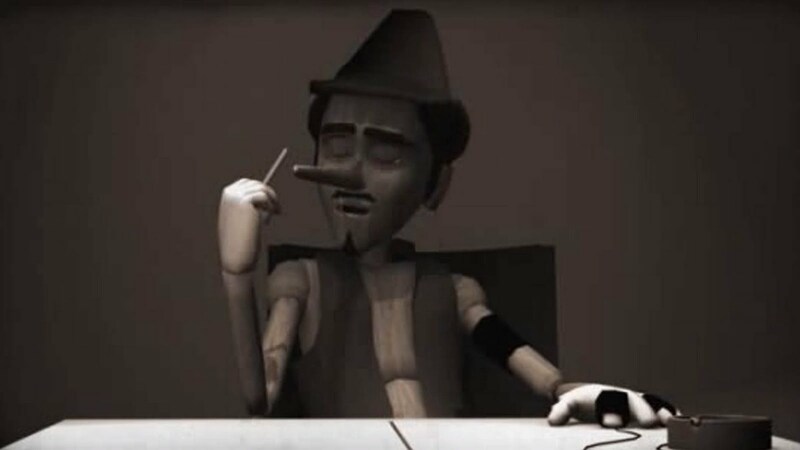 I definitely wanted it to be clear that this Pinocchio was sort of a con artist and more mischievous, so it was important that his facial expressions conveyed that. I wanted the audience to feel that he was up to something. 6)What were your first thoughts upon hearing the audio? As I mentioned before, the first image that popped into my head was an old black and white film look. After listening to it a couple times I envisioned a man strapped to a polygraph, and being interrogated. But this idea was still kind of bland to me, so I continued brainstorming for people, or characters associated with being a liar. Lawyer, car salesman, thief, spy, politician, and finally Pinocchio came to mind. 7) Peter Nagy used Pinocchio in his 3rd place entry for March's competition. With so many fantasy characters out there, it is unusual to have a similar character appear in the top entries. Were you aware of this while creating your animation? To be honest, it wasn't until I was half way in my animation when I saw Peter Nagy's entry. It was a great piece, but as soon as I saw Peter Nagy’s Pinocchio I couldn't help but feel disappointed. I was really hoping to create something different, and the last thing I wanted was to create a piece that was similar to someone else. So I spent some time trying to think of another character to use, but I couldn’t think of a better fit for the part of the liar. In the end, I just decided to go with Pinocchio. Sorry Peter. 8) Looking at some of your acting choices, although Pinocchio remains charismatic and appealing, I believe the audience has as much trusts in him as they would in similar level to a dirty car salesman. 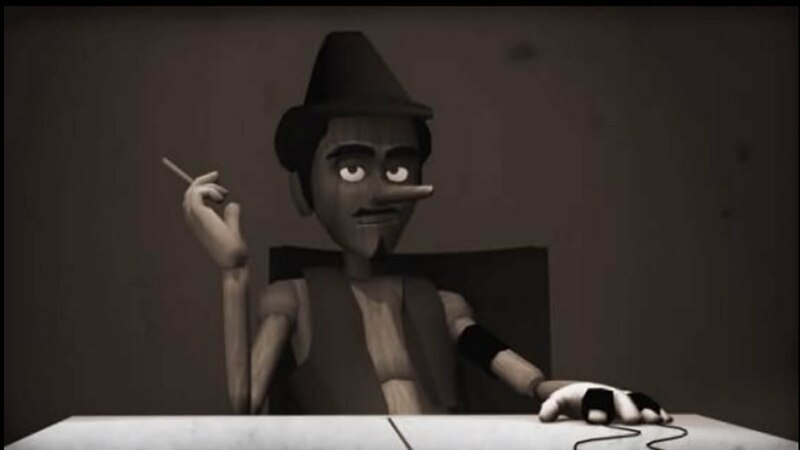 Also, with the placement of the ashtray, within a short number of frames, we feel Pinocchio's unease at interrogated. Would you like to discuss some of your acting choices? The shift in his seat at the beginning was certainly an attempt to convey a sense of being uncomfortable, or a “tell” from a poker player. However, for the rest of the animation I wanted Pinocchio to seem calm, like he’s done this before. 9) Were you influenced by any films or actors in particular? Well, when I heard the audio clip, I thought of a character with a bit of Quint (Robert Shaw) in “JAWS”, and Al Swearengen (Ian McShane) in the HBO series “Deadwood”. 10) Talk about one or two parts of the e-Critique that enhanced/expanded on the ideas you had originally set out to animate. All the notes were very helpful and appreciated. In particular, the notes on staging (composition), avoiding distracting actions (the bright hand that places the ashtray), as well as the “trick” to add a bit of light around the eyes are great points, and things I will be going back to. Also, the notes on arcs, and creating better silhouettes are very good points. It is sometimes hard to see these things after looking at an animation for so long, and it’s nice to be reminded of the small technical things that are key to good animation. All the notes mentioned will be fixed in order to better the animation. 11) With Pinocchio being such a recognisable character, you must be pleased the ending was successful in surprising the audience with its dramatic growth? Yes, I thought it was a funny, suitable ending, and I’m glad I stuck with using Pinocchio as the liar. It gave the opportunity to create more of a “punch line” at the end. 12) On the same topic, it was not discussed during the e-Critique, but some of the voter's comments believe adding some opposing forces to the thrust could provide the nose with more substance. Any thoughts? I’m glad you mentioned this, because I totally agree with the comment. Its something I didn’t think of when animating, and is a great idea. I will definitely be going back to add some kick back to his head when the nose shoots out. 13) This is your first time entering the competition. What inspired you to enter this month? Well, it’s been a while since I’ve animated anything with dialogue so I thought it would be fun to animate some acting for a change. I couldn’t find any dialogue I really liked, so I went to the 11 second club to see what the new audio clip was. When I heard the clip, I thought it had potential. It was funny, had a nice tempo, and had some interesting accents. I guess I was at the right place at the right time. 14) What advice would you give to other animators? Find your inspiration, use lots of reference, then some more reference, and have fun. Try to think outside the box and push yourself to create something different and unique. Just stumbled across this little toy. If you haven't seen it already, and just introducing yourself to learning facial expression, your mind is about to be blown!!! 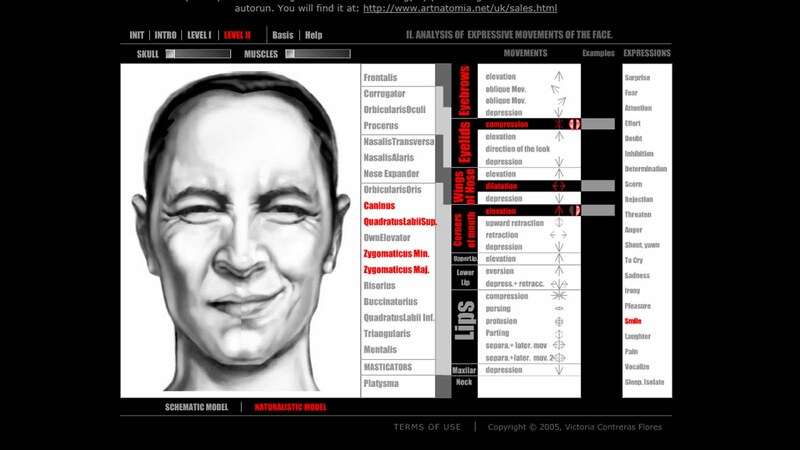 Artnatomy/Artnatomia's little gadget is an 'anatomical basis of facial expression learning tool' which means you make a few choices and it shows you how to the expression is formed over a series of steps. parenting to a rig's hidden skeleton from mini-challenges on Vimeo. 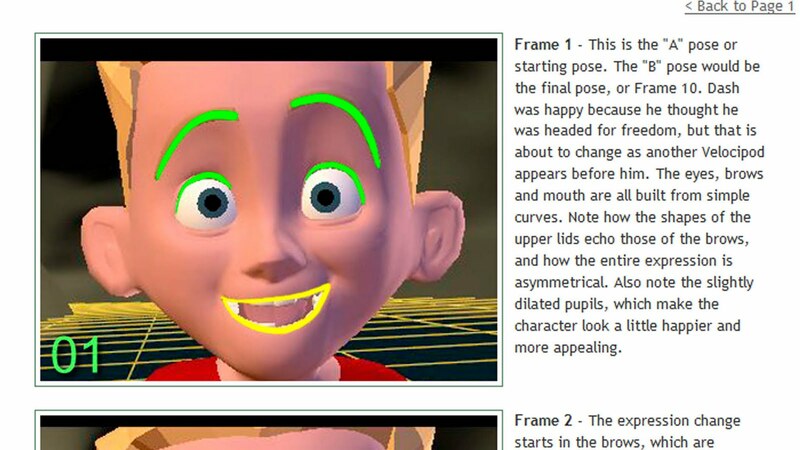 For somebody not use to rigging, parenting to a rig may not appear to be very user friendly. The controls may not appear to be in the ideal place, while the geometry just won't except anything attached to it. Sudipto Mukherjee shows you how to look beyond the rigs most visible settings. Mc week 7: Walk cycles from mini-challenges on Vimeo. It must be noted that the final two walkcycles were not done to the brief, however the excellent results produced within the event's timeframe, meant I had no choice but to exhibit their beautiful work. 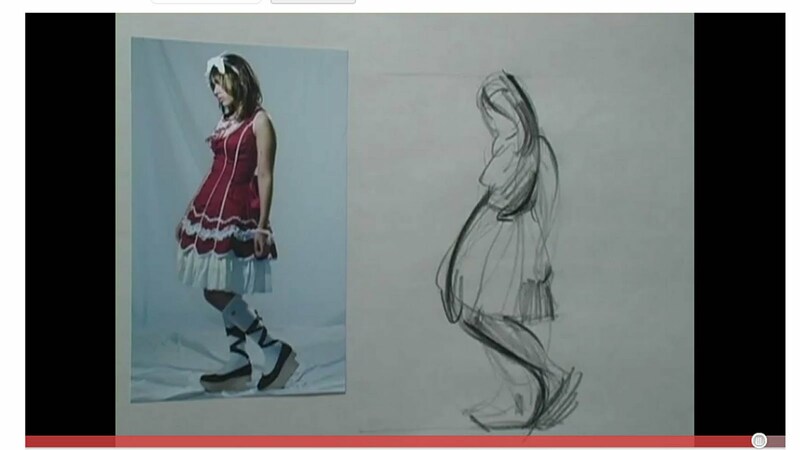 The female walk cycle but Matthew Finch, although unfinished was actually achieved in 45 mins!!! It's an appealling combination of two rigs, the body being that of the new Eleven rig while the head is a blenshape of the Morpheus rig. Nice work all round!! This fortnight's challenge is going to be a jump on or/and off of a box. I asked Keith Lango for advice on creating good exercises and this was on the list for practicing body mechanics. The challenge starts on Monday 16th and runs until Monday 30th. 4) the overlapping action of the spine. There's room to be creative in the type of jump you wish to portray. Is the box like a diving board with a somersault off?? Is it an acrobatic jump? If so study gymnasts. If its a reluctant diver, shoot some character reference. Enjoy!! A good frame limit would be 100f. Thinking 150 max as six seconds is a lot of work and imagine the quality ones could be much shorter. 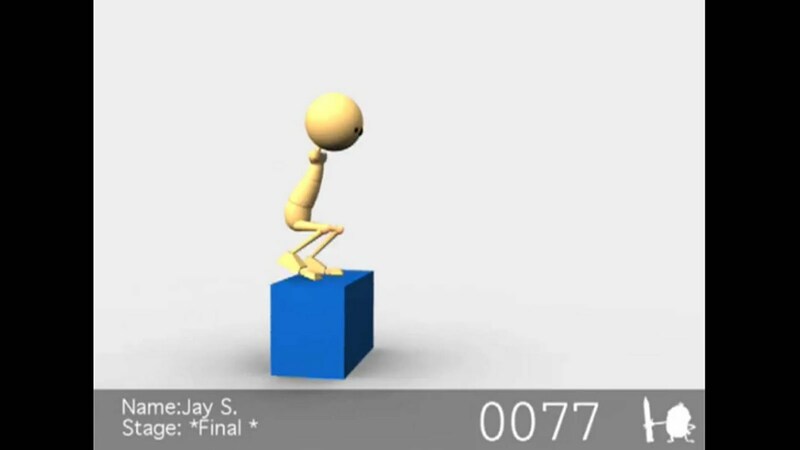 Walk cycle tutorial from mini-challenges on Vimeo. Hoping to help people struggling to animate a walkcycle with the Simple Bot, Matt Finch created this delightful 30min tutorial. We apologize for lack of sound, however it does offer many tips and tricks into how to control the rig and create a vanilla cycle. Looking through 'The Illusion of Life' you'll find many great examples of how the face squashes and stretchs, for example Dopey as he shakes his head. Yet it is hard to believe how are faces do just that in real life. Give yourself permission to use the principles to play, but remember to keep in mind 'that we cannot do the fantastic things based on the real, unless we first know the real' (Walt Disney). Practice how a head turns, or body parts move, learn the basics before pushing them to the extremes. 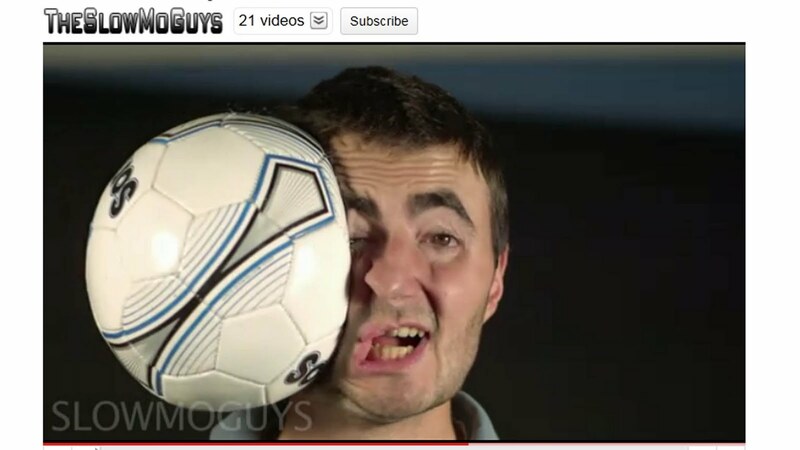 There are many fine examples of slow motion on the net, make sure you browse through and have a look. I'll leave you with this flu jab advert, where the slow motion is used as anticipation for the whole clip. Enjoy!! A great article on animation 4 legged creatures featuring fantastic drawings from Glen Keane and lots of example and comparisons to animating humans. Probably more for the advanced animators (2 legs is enough for beginners) but a great reference for anyone animating animals. There's often a tendancy to jump straight into the animation without much planning (myself included) Drawing thumbnails to plan out the action is vital in the process and will improve your poses and animation overall. It also gives a small introduction into animation/storytelling that would be great for anyone new to animation or just wanting a simple way of understanding the process. I recommend saving a copy! Ok people, this one is for the life drawing lovers. And if you're not one of them, and wish to be a character animator, hopefully your view will be changing. A lot of the photographs are taken from Hong Ly's Character Designs website. Unfortunately, Hong Ly doesn't have a timed exercise feature, which is the beauty of the collaboration with Pixelovely. Please check it out the wealth of the material really is extraordinary. Happy sketching!! He really shows and explains how to capture the spirit of a pose. And use that line of action. Enjoy! today's work introduces the work of Pete Nagy. A regular competitor in the 11 sec club competition. The reason he's being featured here, is how has regular taking the clip and pushed it an extra mile. 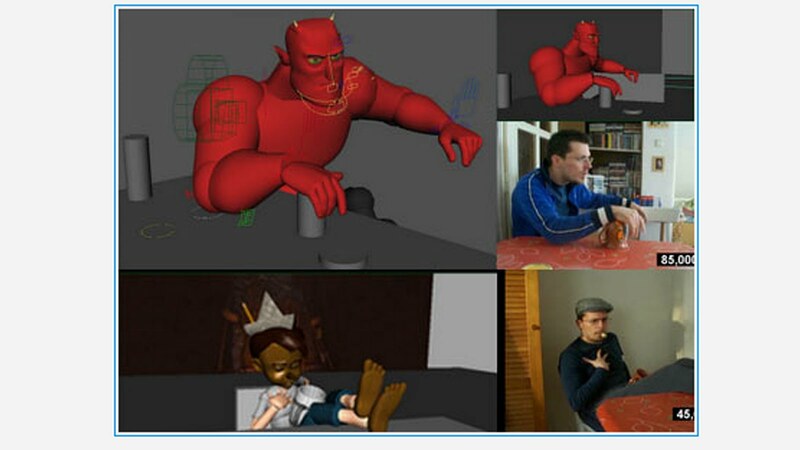 Animation at the end of the day, is about appeal and entertainment. Pete never won the competition for his Pinocchio entry. It came 3rd, but he then took the piece and pushed it further. Adding extra sound effects and footage, his efforts showcase the importance of telling a story. It must be noted that the complete process is a team effort, which he credits for at the end of the clip. Untitled from mini-challenges on Vimeo. Here are the results from the facial challenge. It was quite a tough one, with a firm grasp of the principles needed to pull it off nicely. During the mini-challenge I wished to present a few facial takes from movies. Its a bit late, but here is just sample, embedded using quicktime so you may go through frame by frame. What I found of curious interest is The Little Mermaid clip. Watching frame by frame, you notice Arial's hand shield her face which is pressed down on the bed on the very next frame. Continuation error, probably not. Instead maybe its a device used to anticipate the push up on the bed. Still an interesting choice. The clip in Aladdin presents an interesting take between two characters. Aladdin remains assured figure while he takes Jasmine through a whole new adventure.While in Megamind, look how the spacing of the eye moment allows the eyes to lead the turn of the head, even over a short number of frames. I wish to highlight the first sentence, written in the words of the great animator himself. Those who entered this week's challenge certainly found it challenging. It is hard, but with a firm grip of the principles, the results can look breathtaking. Have a good and enjoy! !